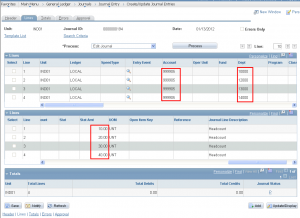 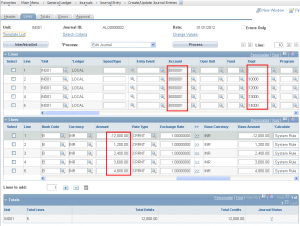 There are numerous ways in PeopleSoft to allocate indirect costs to different departments, or operating units or any other Chartfields. 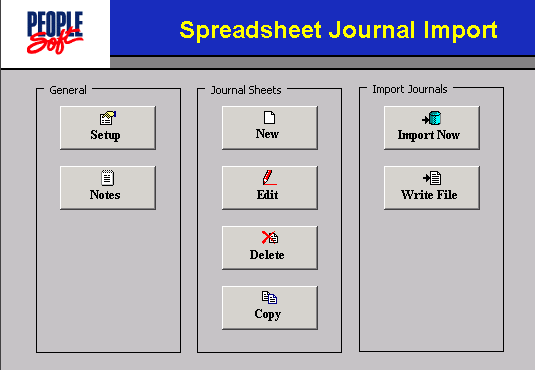 Today we will discuss using Statistical Accounts to do this. 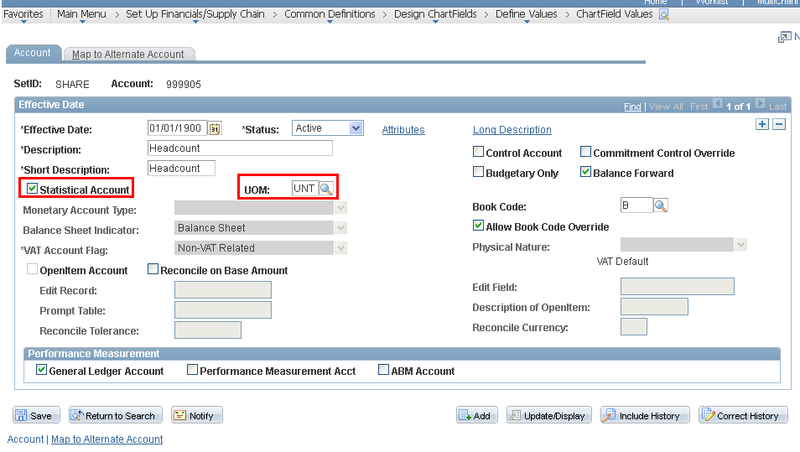 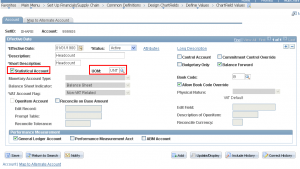 Create the statistical account chartfield value by selecting statistical account checkbox and also provide the Unit of Measurement value. 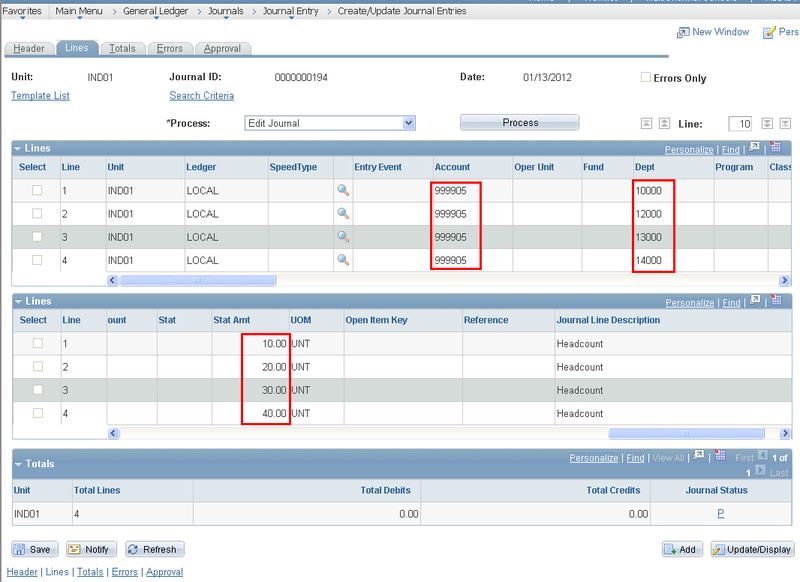 Next step is to create, edit and post the journal lines by selecting statistical account, UOM and statistical amount. 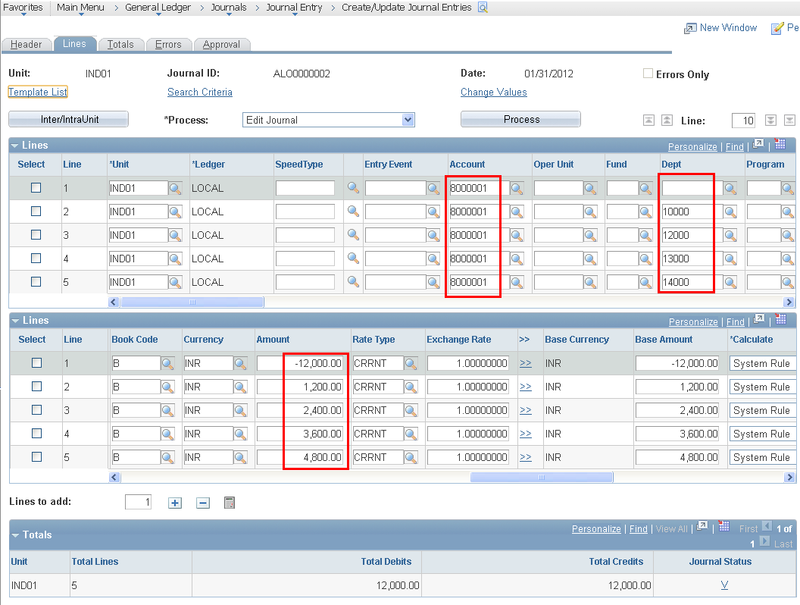 Choose the allocation type as “Prorata with Record Basis” and also provide appropriate values in allocation POOL, TARGET, OFFSET, OUTPUT OPTION page. 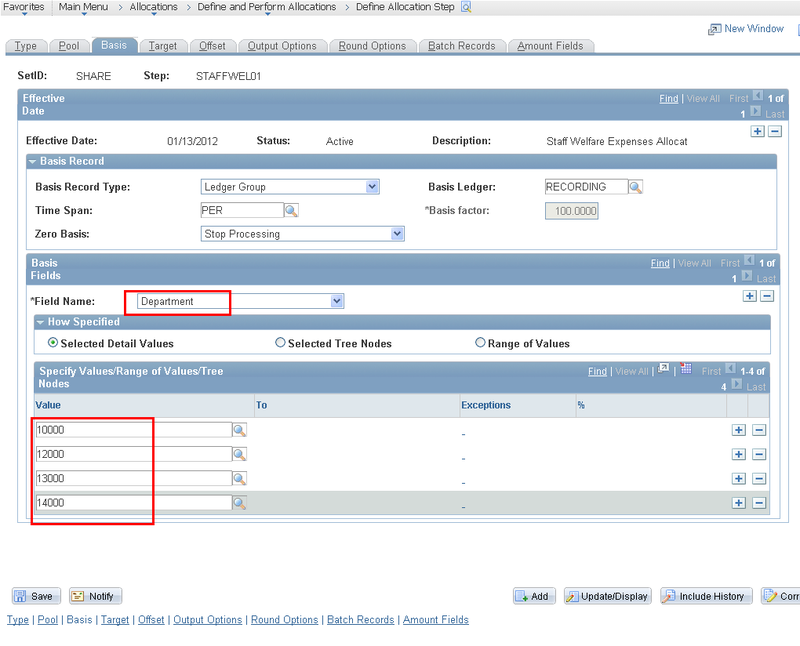 In Basis page, provide these 4 departments. 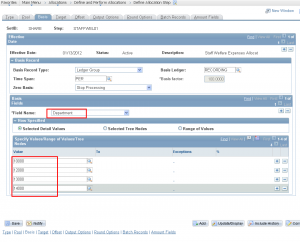 One Allocation Journal Entry will be created after successfully running the allocation request process. 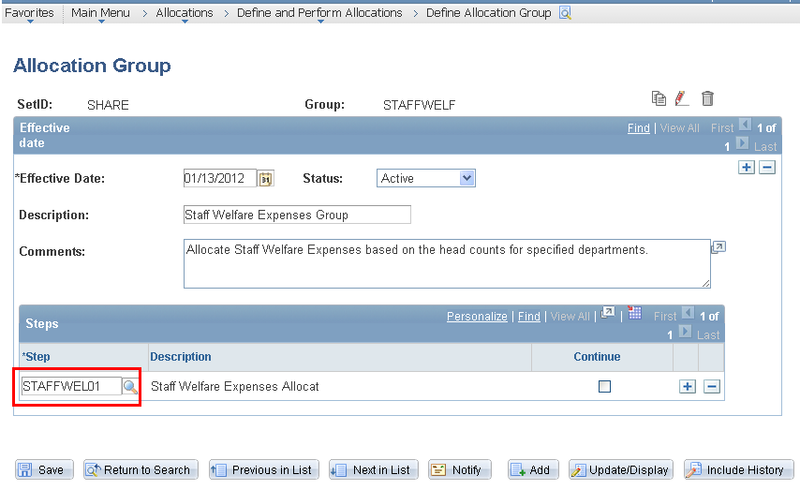 Before running allocation process, Staff Welfare Expenses is Rs.12,000/- is accounted without having any department. 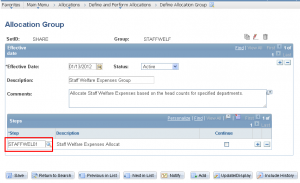 After running allocation process, journal entry nullify the previous staff welfare expenses of Rs.12000 of having NULL department value and distribute this amount based on the head counts of each department.